More often than not, a lot of you are asking for t-shirts via Twitter. It would be great if t-shirts could be distributed throughout the world in some Santa Claus-like fashion but that is just not how the real world works. Do not fear though, there is a silver lining to this story. These t-shirts featuring the new Cross-Bottle design will be available as of next week! 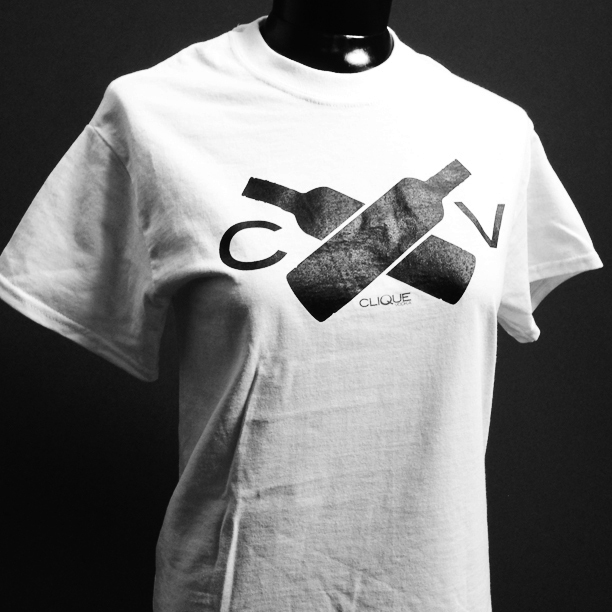 Since everyone on Twitter is constantly asking for everything for free, @CliqueVodka will be giving away 5 Cross-Bottle t-shirts next Tuesday. There is however a twist, @CliqueVodka will be hosting Trivia Tuesday starting at 6pm EST live on Twitter. Be prepared for 5 different random trivia questions tweeted out at 6:00, 6:15, 6:30, 6:45, and the final question at 7:00pm. You can also follow #CliqueTrivia for hints about some of the topics to be prepared for. The first person to respond with the correct answer will receive one of these brand new Cross-Bottle t-shirts. You must be following @CliqueVodka on Twitter to be eligible to win prize and be contacted via DM for shipping information. 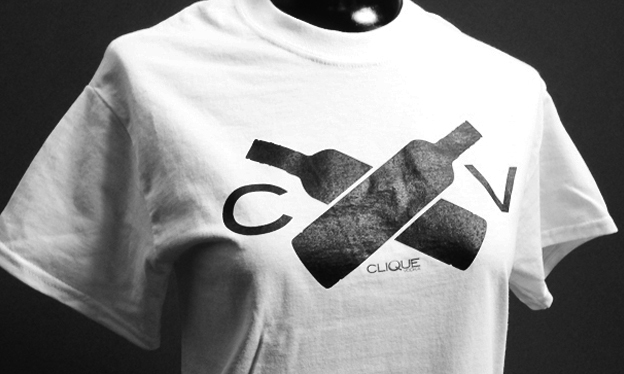 All followers must be 21+ to participate and follow @CliqueVodka. Any question, comment below.